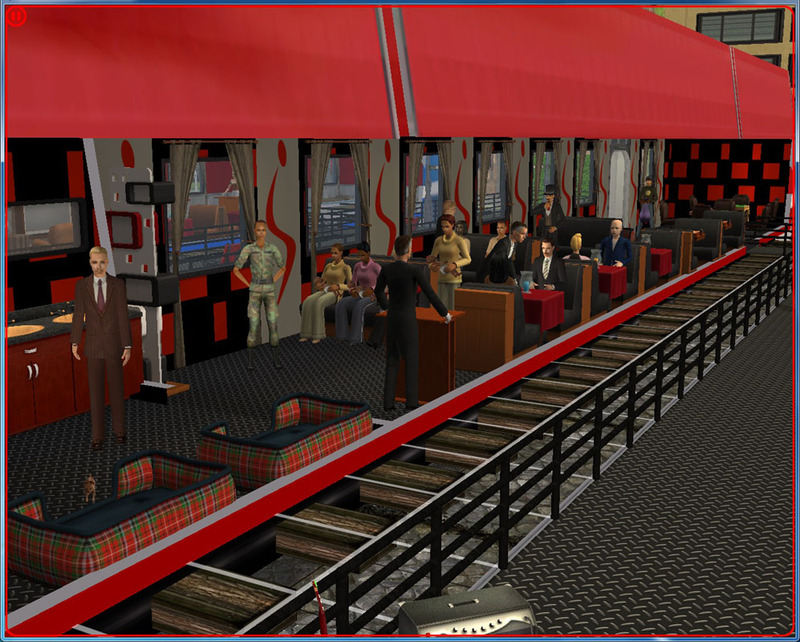 This is the monorail train remeshed and repacked to work exactly like the playable bus. You may build a house inside it and furnish it at taste. It is located in decorative/sculptures and cost §5000,00 simoleans as usual. It is low poly, just 242 vertices. Inside the package is everything needed to start and everything I created self, including the train tracks. This time the tracks are included with the train. The base clone is the Venus Sculpture that is Base Game. I stablished Pets as requirements because the effect came with the EP Pets. It is a normal mesh not an effect so it can happen that it also works with Base Game Only. I can't test because my game is so far from the original that I can't compare (8000 global modifications self made). The train uses the space of a 5x3 lot, so I consider it suitable for commlots because I do not use residential lots bigger than 3x3. You may know what's best for you. 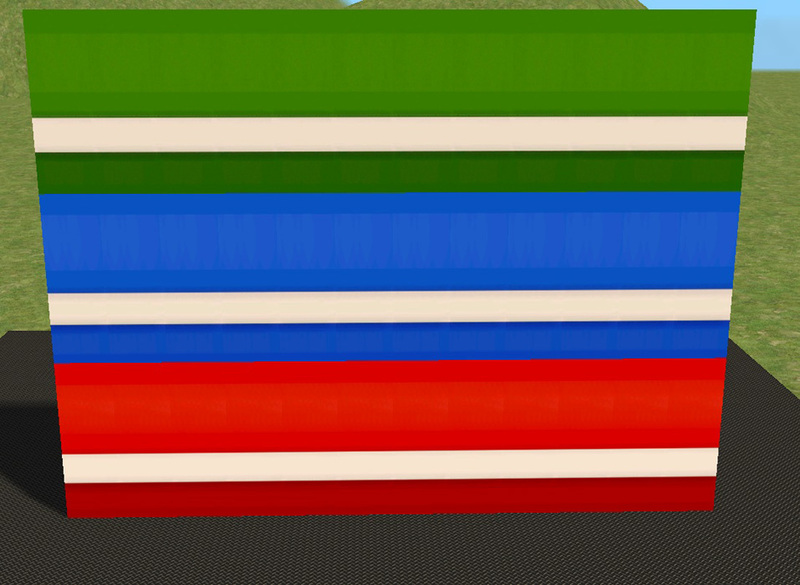 It is full recolorable but the main recolor is in fact the game walls, so you can do whatever you want, self. The pictures supplied include description and details about the object and a copy is also together with the downloadable, so you can read home. You may recolor, clone, improve and do whatever you like. You may also repost without my permission or include in lots. If you post outside MTS, include the mesh to ease others life. Thanks. The mesh belongs originally to EA. Tracks were created from scratch and not so low poly: 912 vertices. 456 faces. Full recolorable. 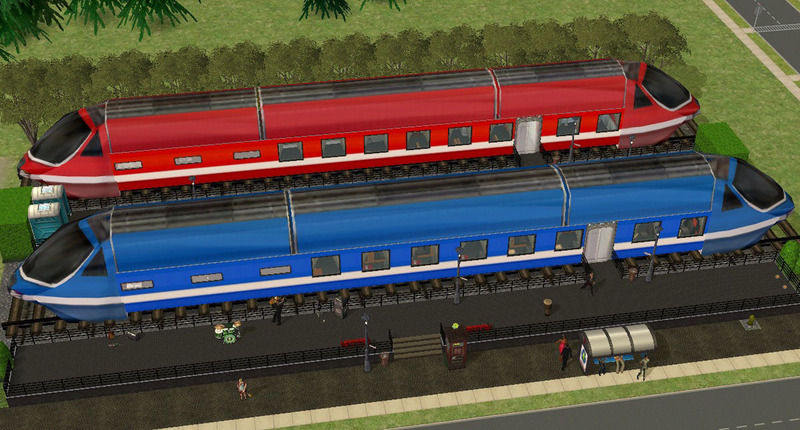 TrackMonorailTrain.rar | Description: This is the Monorail train effect, this time not as decoration but as playable game object. Neighborhood Train effect repacked as Game Object.